Milad Alexandre Mack Atala was born in Brazil in 1968 and during his late teens and twenties lived the life of a punk – a redheaded, fair-skinned kid, patched in tattoos, deeply immersed in music, with an appetite for drugs. That was his truth back then – the way of the anarchist – but he now describes that point of view as being too reductive: “I have no doubt that the way punks look at the world is quite singular. I’m just not sure if it is the right one.” In his early twenties, he travelled to Europe and found himself in France. Cooking quickly became a way to subsist; and, training under the best, he poured his active dissent into his cooking. In 2003, Time magazine named him one of the 100 most influential artists – the only chef to make the cut. For the past decade his restaurant D.O.M. 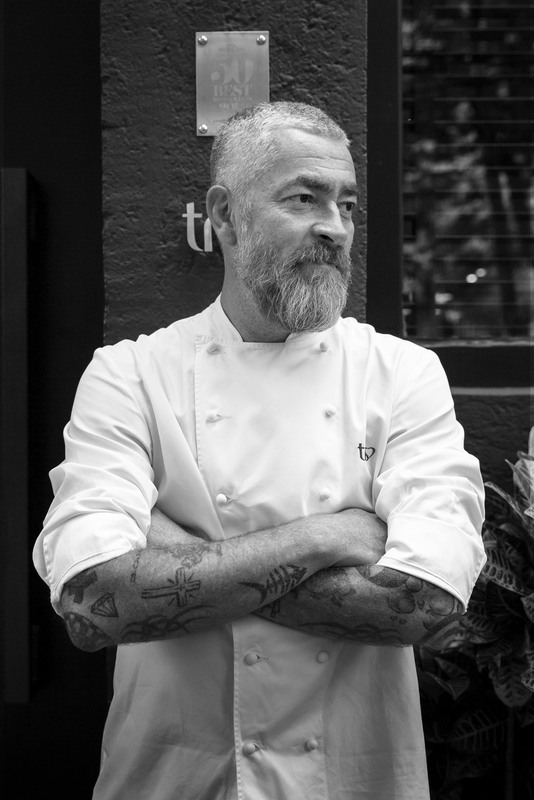 in São Paulo has consistently made the World’s 50 Best Restaurants list, this year sliding in at number 11. D.O.M., Atala’s first-born restaurant, stands for Deo Optimo Maximo, a Benedictine-era motto meaning ‘To God, The Good, The Great’. Its narrative is around using the native flavours of Brazil, sourced mainly from the Amazon basin. As with any national cuisine that wasn’t French, up until quite recently ‘Brazilian’ and ‘gastronomy’ weren’t two words you would put together. It was commonplace chow that your grandmother, or avó, cooked, and it was quickly being outsold by fast food. He recently founded an institute, ATÁ (‘fire’ in Guarani). In his words, “ATÁ works by reinforcing the culture and flavours of both indigenous and traditional communities. Work must take place…so knowledge, culture and man are preserved.” For Atala, it’s not just about the environment, but the guardians of that environment. “It is important to remember that protecting nature is not just protecting the river, sea and forest, but the people who live in the river, sea and forest.” Among its success stories are insects that taste like lemongrass, a bitter, salty chilli called jiquitaia, a sustainable meat, wild cerrado vanilla, native bee honey and a local algae. Knowledge is power. Saber é poder.